Gopher control will help you reclaim your yard and trees. 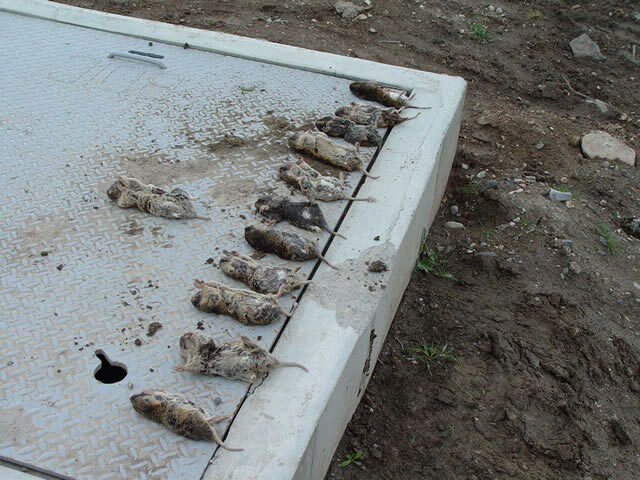 Our technicians have had much success by employing gopher traps. Contact a professional gopher removal specialist in your area. 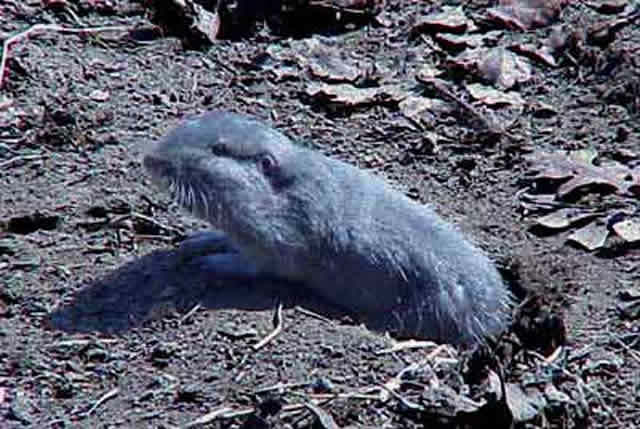 Gophers are trouble with a capital T. An infestation of these furry little animals can cause serious damage, a lot more than just piles of dirt in the yard. 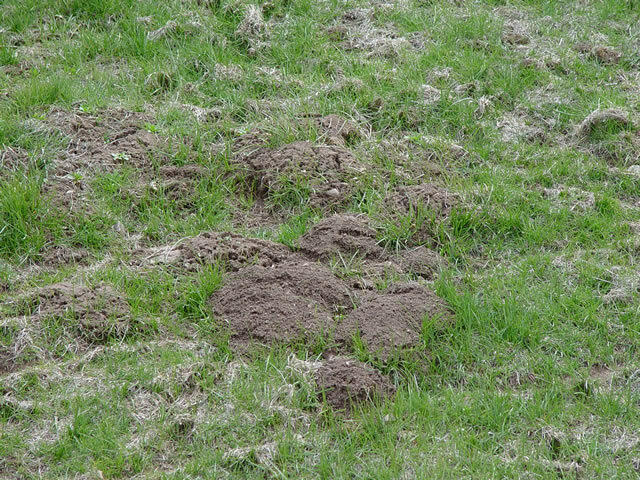 Gopher holes are just the right size for twisting the ankles of man or beast (such as cattle and horses). Their tunnels undermine trees, sometimes to the point of toppling. They eat roots, stems, bark, leaves, fruit, and vegetables. There goes the garden, the landscaping, and the trees. Predators will follow gophers; weasels, skunks, badgers, coyotes, poisonous snakes, bobcats and foxes all prey on them and will enter yards or golf course in search of a meal. As they hunt the gopher they will dig like a dog, further tearing up the grass, lawn and landscaping. They chew into water lines and telephone cables, causing flooding and interruption of service. They uproot sprinkler system heads and their tunnels warp underground water lines. They damage dams and retention ponds by chewing through pond liners, causing flooding. Gophers will decimate rose bushes. Dirt mounds cause wear and tear to the lawnmower blades. Plus, rocks come up with the dirt and can be flung by the lawnmower. They bring insect pests such as lice, fleas, ticks and mites. They carry and spread diseases such as monkey pox and rabies. Gophers are territorial critters; rarely will more than one of them occupy a quarter-acre. Even though infestations are frequently small in population, one little animal can do a great deal of damage as described above. One of the most frustrating things about gophers is that they are rarely seen. Their damage is readily apparent, but as they live underground the animals themselves are quite elusive. Sometimes people ask me for a gopher repellent, but there are no known effective repellents available, either chemical or sonic. Such products come with considerable risk and expense for limited results, at best. It is almost always necessary to kill gophers in order to control the problem.
" I've spent some time on your website and many of the things I've read apply to my situation. After a 4-year battle and thousands of dollars lost because of a major gopher problem I'm throwing in the towel. I am interested in a price quote on their removal and prevention of their return. They have destroyed both yards front and back and I am anxious to re-landscape but have lost thousands already, and will not proceed until the gophers are gone and preventative measures are taken to prevent their return, as I have thought in the past they were gone only to find the battle was not over." --Stan O. 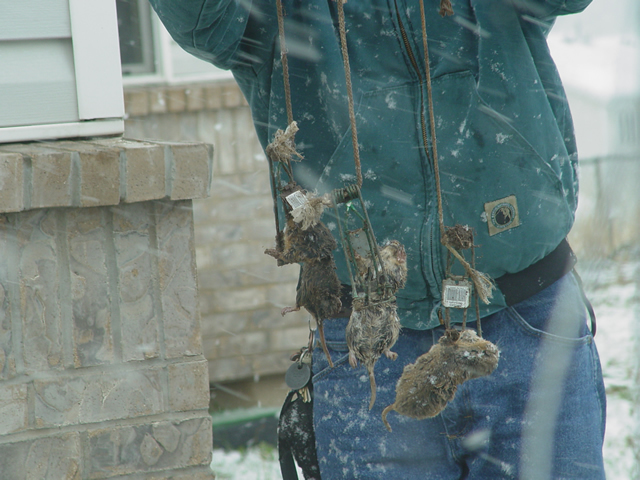 We sent a wildlife removal technician to Stan's home for an inspection. He evaluated the situation and determined that we could best handle this problem with gopher traps. 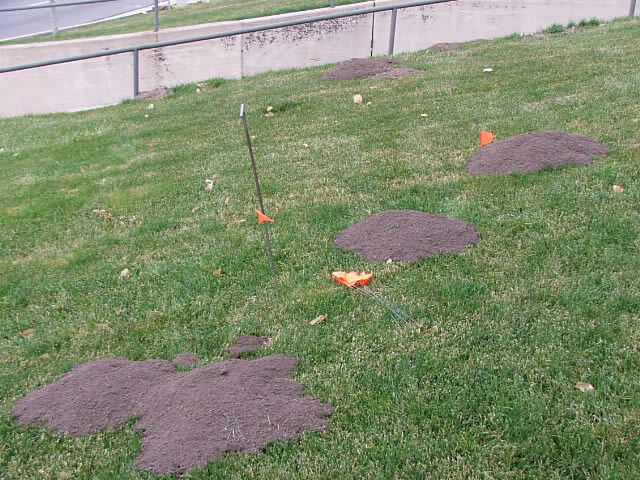 He set the traps and in a few days all the gophers were dead and gone. At the owner's request, he also installed rodent fencing, which is an underground and aboveground barrier made of a tough, slick material that rodents cannot dig through. Should more gophers ever arrive at Stan's house, this barrier will protect his rosebushes, bamboo, and other expensive plants. Our experienced wildlife control operators can inspect your property and create a custom plan for your situation. We offer comprehensive gopher control on residential, commercial and industrial properties. Trees appear to be dying of thirst because they are. 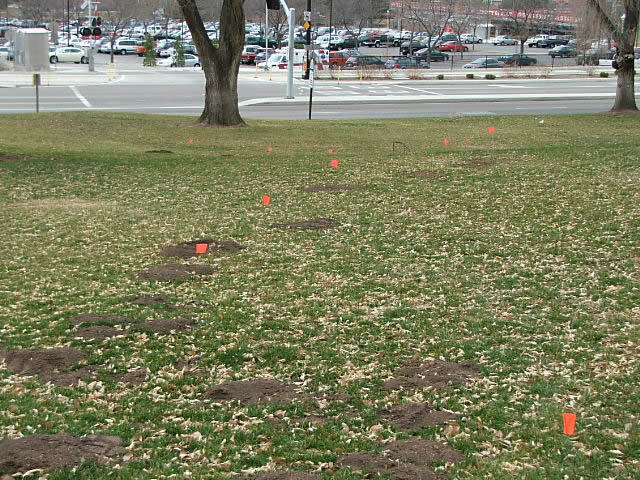 Gophers will eat tree roots, cutting off their access to water and nutrients. Your dog is may dig and tear up the yard more than normal. A dog will smell and hear the rodent and try to find it. These signs may be seen at any time of year. Gopher feed on a wide variety of bulbs, tubers, roots, grasses and seeds. Almost every yard provides something they like to eat, as do golf courses and fields. Read more at our Gopher FAQ . For fastest animal control services, call us to schedule an inspection. Our technicians utilize kill traps, gopher poison (which requires a license), smoke and concussion gas bombs. We combine methods according to the needs of each situation and we get results. 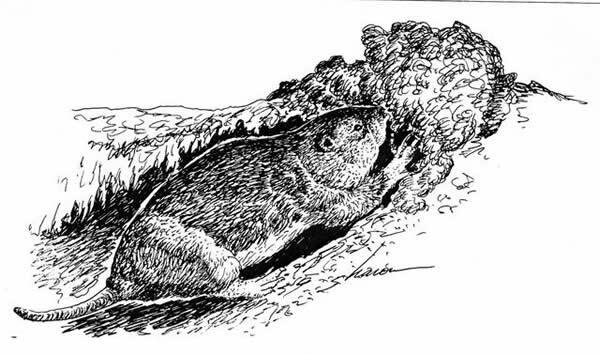 We have never yet encountered a gopher problem we could not solve! 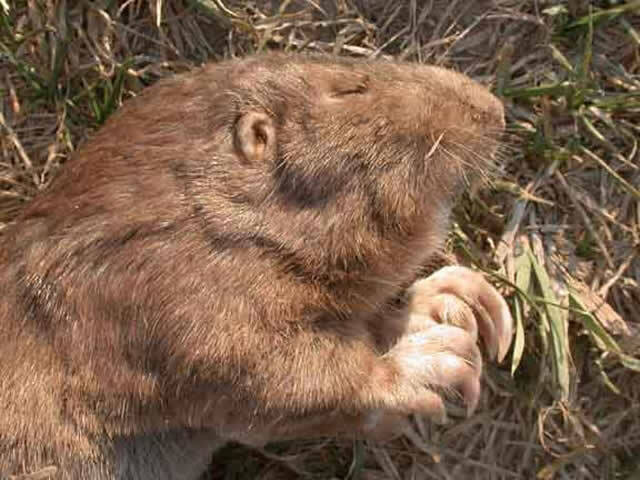 You may send us 5-10 digital pictures of your pest gopher problem. Be sure to include all problem areas, surrounding areas, and pictures of anything else you think may be relevant. Using your pictures, we will give you a FREE telephone evaluation and a cost estimate of a complete animal control solution. We also offer expert coaching services for a fee, so you can do the job yourself. We can ship any necessary materials to you. Our professional trappers know how to get rid of gophers. Gopher repellents are not very effective. Trapping is usually best. Most of the time we kill gophers by trapping them. A license is required to administer gopher poison. 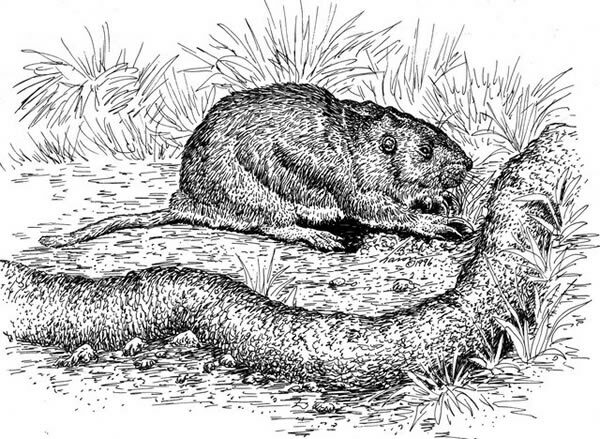 Gopher extermination and exclusion are very effectual. 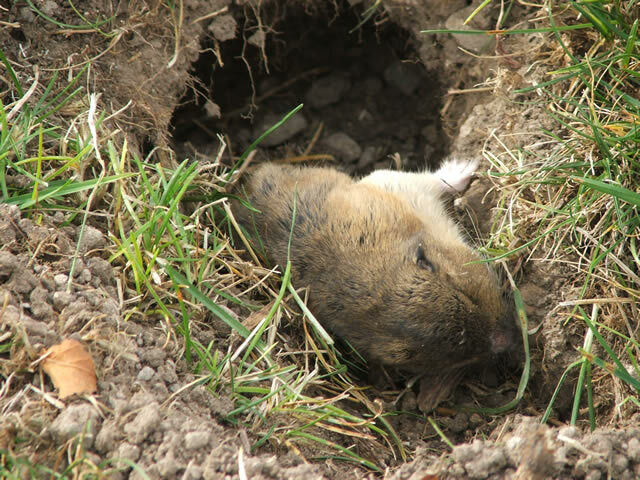 Our experts can perform gopher removal for you.